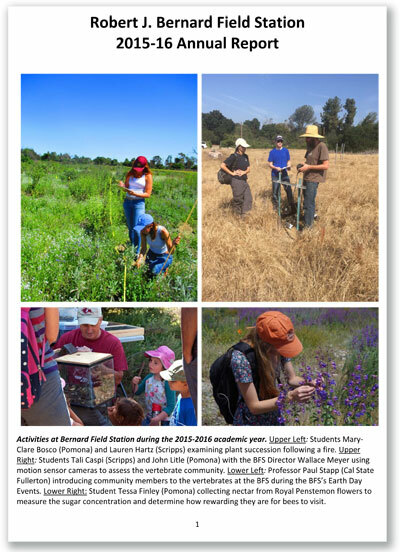 If you’re curious about what went on at the BFS this past academic year, you can check out the “Robert J. Bernard Field Station 2015-16 Annual Report”, which is posted on our website. Click on the image to see the report. We’ve also posted research publications for the 2015-2016 academic year, including six peer-reviewed journal articles and five senior theses. Do check them out! and Selasphorus sasin. Advisor: Elise Ferree.